It allows you to enter a bunch of words and create your own Subway art! 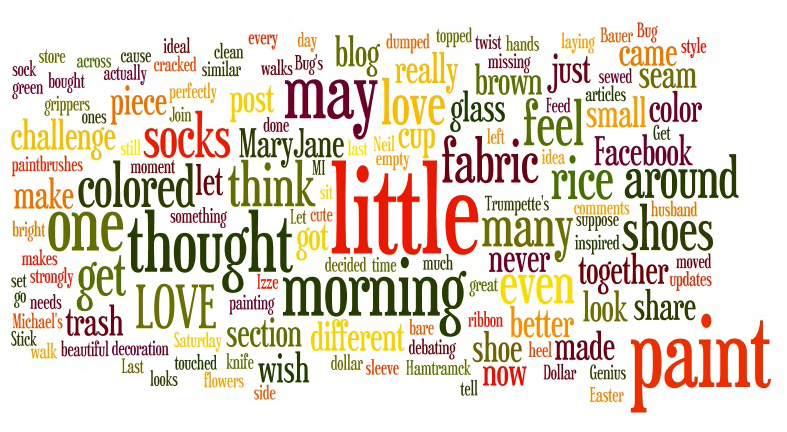 If you have a blog, you can create a Wordle from words used on your blog! 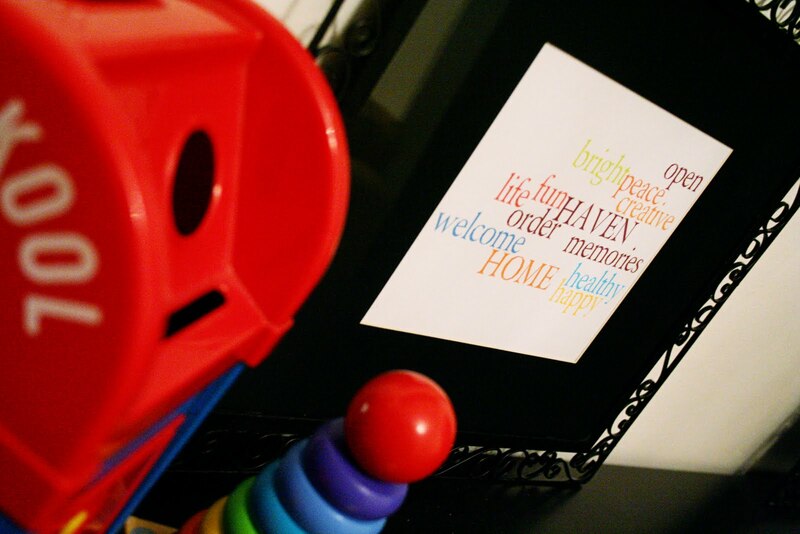 One of our 31 Days to Clean challenges was to think about a mission statement for your home. So, I wrote down a bunch of words that I wanted to embody my home. 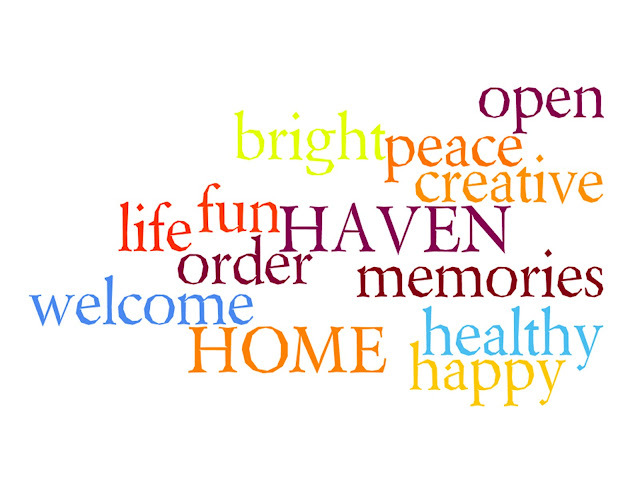 Entered them into Wordle and let it create an art piece to remind me WHY I want a clean house! 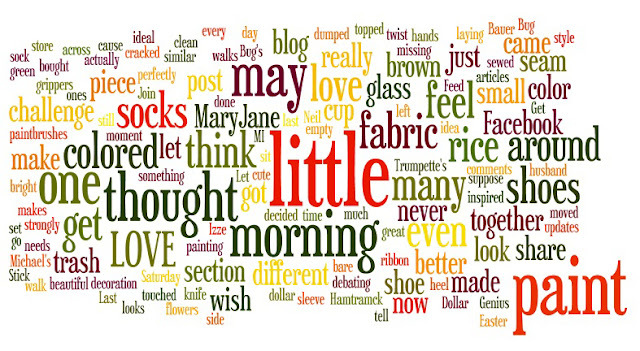 Seriously, Wordle is SO GREAT. It even let me pick the font, colors, layout, etc..
You'll have a BLAST playing around with the options. and out comes a perfect piece of art. Maybe create one of these for your Mom... Mother's Day is on Sunday you know. Or maybe your hubby needs some lovin' in the form of Subway Art. Teacher Appreciation week is this week, too... any teacher would love this on his or her classroom wall! And it only takes 5 minutes to make. Head over to Wordle now and have some fun! I'd love to hear your mission statement for your home. Leave me some comment love with it! 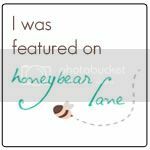 I also found this FREE printable this week. 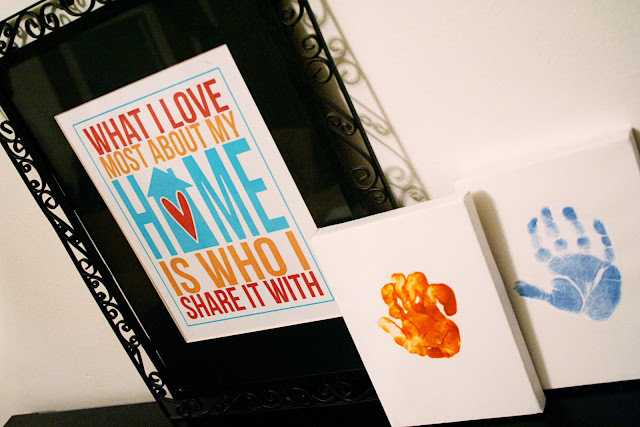 It was a good reminder that while I love decorating my home and fancying it up, what I love MOST about my home is my husband and children. Download one for your house here. 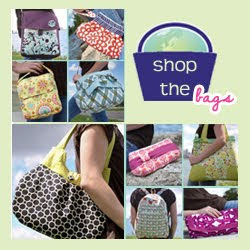 The ladies from Eighteen25 have lots of color options to choose from! Wow, that's wonderful and inspiring! I am so making Subway art for my Mom for Mother's Day now! I found the greatest words that pertained to moms and I plugged it in and I found the way to make some words bigger. 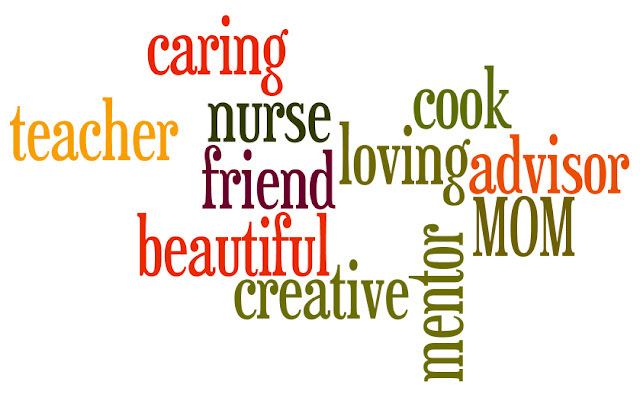 I am so impressed with this site because I have all these words and the words that stand out are, "Mom, I love you" and "Thanks for everything." How cool is that? Thanks so much for sharing! Love it! I was wondering how I wanted to pretty up my mission statement and this is perfect ... thanks for sharing! Love, love, LOVE this! Thank you for sharing!! I hadn't found your blog yet so am so glad you posted your top 11 so I could find this!! I will be making one tonight! !